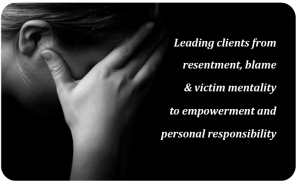 The State of Minnesota Board of Marriage and Family Therapy has approved Rebecca Aadland’s workshop, “I’m Miserable Because of You”: Undoing the Blame Game, for Continuing Education (CE) Credits for the license renewals of LMFT professionals. Also, the Minnesota Board of Social Work has approved Rebecca Aadland of Aadland Counseling Services as a Continuing Education (CEP) Provider for Continuing Education hours for license renewals of LSW, LGSW, LISW, LICSW professionals. The Minnesota Board of Behavioral Health and Therapy has approved the workshop for LPC and LPCC Continuing Education Credits as well. Sign up for 6.25 Board Approved CEUs at Rebecca’s website: http://www.rebeccaaadland.com, click on Workshops & Retreats, then Current Registration, for a full description of her workshop for psychotherapists and mental health providers. This event will take place on November 15, 2013 at the Crowne Plaza Minneapolis West in Plymouth, MN.